Ron, Leslie and Brandon were back today to catch some beautiful triple tail and sharks! We even hooked a big tarpon that broke the line after jumping for us!! Posted in Fishing Charter Recent Posts	| Comments Off on Too Much Fun! Reds and Triple Tail, A Nice Combination! Rain showers, storms and wind couldn’t keep us off the redfish and triple tail the last few days! Posted in Fishing Charter Recent Posts	| Comments Off on Reds and Triple Tail, A Nice Combination! Posted in Fishing Charter Pictures	| Comments Off on Sharks and Redfish Anyone?! Then and Now – William Binkley! Posted in Fishing Charter Recent Posts	| Comments Off on Then and Now – William Binkley! Fishing Out of Indian Pass and Cape San Blas Recently! Here are some photo opps from the last few trips!! 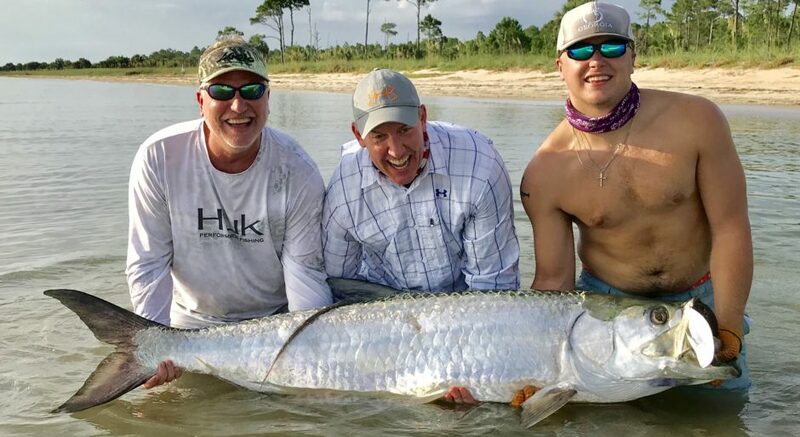 Posted in Fishing Charter Recent Posts	| Comments Off on Fishing Out of Indian Pass and Cape San Blas Recently!